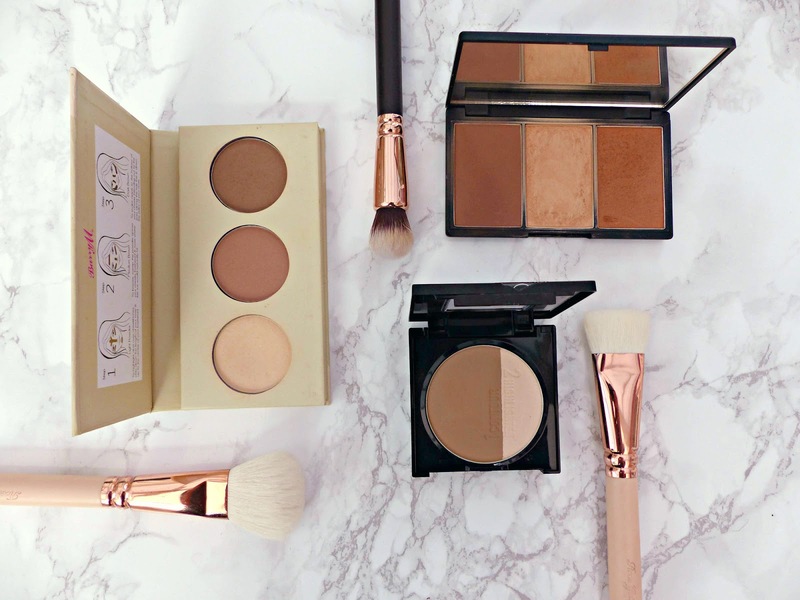 The art of adding definition to your face by using different shades in different places has well and truly gone mainstream these past couple of years, which means a good few contouring kits have made their way onto drugstore stands. Personally I don't contour on a day-to-day basis (and even when I do it, I tend to just do my cheekbones) so fancy high-end kits would be wasted on me. However I have tried a few budget offerings and these are my three favourites. My first ever foray into contouring and a product that is still a firm favourite (top-right). Sleek's offering comes in an impressive 4 shades: Fair, Light, Medium and Dark. All 4 contain a highlighting and a contour powder and the former also have a blusher whilst the latter have a bronzer (one of my little bugbears as I'd much rather have the Rose Gold Blush too!) The matte contour powder is perfect for my warmer skin tone as it isn't too grey. I find it pretty easy to work with however this is the most pigmented of the 3 kits here (for the same reason, you can see I've barely made a dent in it as you don't need much product at all) so I tend to reserve this for nights out (I use the Real Techniques Sculpting Brush with this). The highlighter is a really gorgeous golden shade that isn't too glittery and looks beautiful for summer. The bronzer is something I tend not to use, though it does look pretty. It's a very deep bronze/orange-toned gold shimmer. Every time I use this kit I'm blown away by the texture and quality of these powders. The shade range means this is my pick for medium to darker skin tones (especially if you have warm undertones) and the pigmentation means it my going-out pick. Read a full review with swatches here. The most affordable product of the three is this little trio , which unfortunately only comes in one colour (left). Instead of a shimmery cheekbone highlight, you get a banana-toned powder (I can never quite decide if it's matte or has the tiniest bit of sheen). I love this for setting under eye concealer using the Real Techniques Setting Brush. The middle shade (a warm matte brown) is the one I get the least use out of; for a special occasion I may take a large fluffy brush and apply this to the outer parameters of my face. Finally there's a cooler matte brown contour shade I take on the flat Zoeva Face Paint brush and apply to the hollows of my cheeks. The texture of these is so smooth you really can't go wrong. The only negative that I have is that the silky, finely-milled texture means these can kick up a lot of fall-out. The ease of use with this means it's my pick for beginners. The newest addition to my contour collection is this recent launch from Maybelline (bottom-centre). It comes in a Light/Medium and Medium/Dark shade however Medium/Dark really isn't that dark so I'm not sure how deeper skin tones would get on with this product. This comes with two shades; a very cool-toned contour powder and a champagne-gold sheeny-shimmer highlight. I'm not a fan of how they've done this to be honest as it means you have to use a very small brush (I opt for the Zoeva Luxe Face Focus) to use the highlight without picking up the contour powder! The powders themselves are very subtle; the highlight is natural and sheen-y and the contour isn't too pigmented (I apply this with the Real Techniques Contour Brush from the Core Collection). If you're going to an event during the day where you want a bit more definition in any potential photos, this won't make you look too intense in real life. For these reasons this is my daytime pick. Which affordable contour products do you love? The Sleek and the Maybelline look lovely ! I don't have any contouring products ..
My contour kit is one by B. and it's pretty rubbish. I so need a good affordable one and really like the sound of the Sleek one! I'm really interested to try the Maybelline Master Sculpt. Such a massive fan of Sleek though. I've got the Contour Duo and it works so well. I'm always so impressed with their products! I got the sleek face contour set too and I love it! I have had my eyes on the sleek palette for the longest but never caved! My skills are pretty abysmal so for me it never makes sense to invest in kits and palettes when I know I'll hardly ever use them! The shades in the Barry M kit are perfect! Ooh, don't think I've seen the Maybelline Master Sculpts around yet. I like the idea of a cooler contour shade, thanks for alerting me to this product, Jasmine! I love the Barry M offering and the Maybelline one is next on my list! 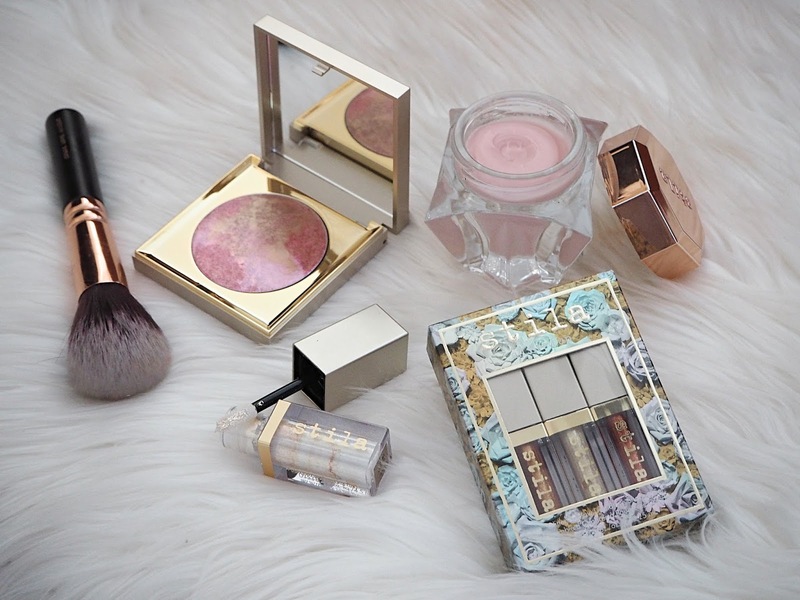 Great all rounder post, so interesting to see the different drugstore contouring products. 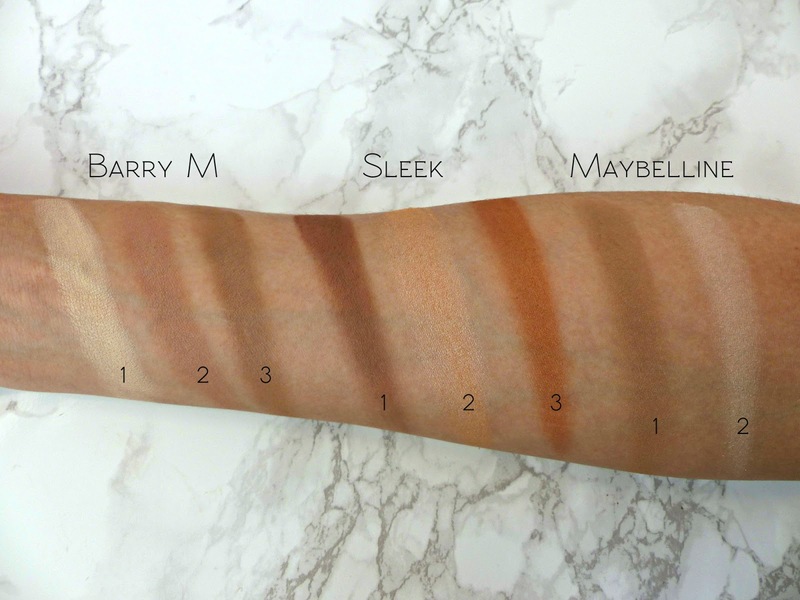 Sleek is a personal favourite of mine, but I must say the Barry M swatch looks really good - worth a swatch instore to see if it appears on my skintone. Really enjoying the Maybelline kit now after being unsure when I first got it! You're right about the bronzer in the Sleek kit, I would definitely prefer a blush option too! I love contouring and my all time favorite as been always Hoola by Benefit, I haven't heard from these before, but they sound really nice, I might give them a try, and if I do it I'll definitely let you know my thoughts on them. 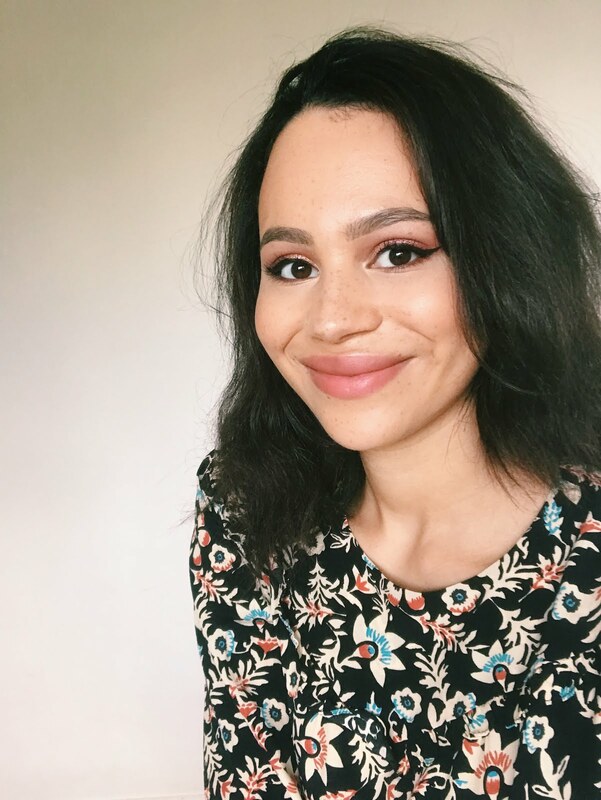 This was a really useful post, thanks for sharing, Jasmine! I love the maybelline powder but agree about the way they have placed the powders together ! That Sleek palette looks like it'd be a great contour kit! I've got a Kiko contour kit which is so so fab but I can't find one that beats my Kevyn Aucoin one yet! I just love the look of the Barry M palette. And you can't go wrong with this, it's so affordable. It's crazy how different the shades are, you'd think they would be so similar. My Sleek one is my favourite by far! I was using the Sleek one for a good two years before I started venturing into other bronzers but your post has totally reminded me to dig it out again because you're right the quality of Sleek powders is phenomenal! Totally agree with you on that sleek palette. I love the contour and highlight shade but the bronzer just looks way too orange- i haven't even dared to use the bronzer. I'm going to have to check out the Maybelline duo. I like the look of the Barry M and Maybelline kits, it's so hard to find drugstore contour kits that have cool toned bronzer shades! I don't own any this kind of contour "kits" but I love to use the Bourjois Delice de Poudre bronzer for contouring! I'm probably going to get the Maybelline one soon as I love the look and sound of it and it's the only one I can actually get my hands on.